Ohio ranked sixth among states with the most outbound moves in 2018, according to the 2018 National Movers Study by United Van Lines. About 56.5 percent of Buckeye State moves left Ohio. Still, some areas of the state saw an increase in residents. 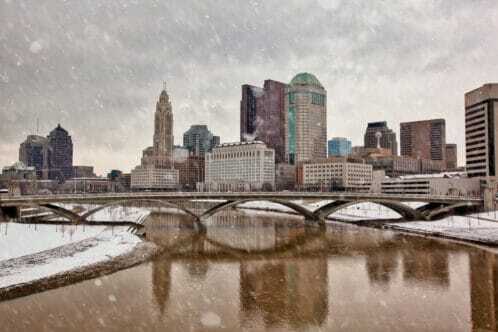 A study by 24/7 Wall Street ranked Columbus 24th among the top 50 U.S. cities with strong population growth. Between 2010 and 2017, the population of Ohio’s capital city grew by 9.3 percent. According to U.S. Census Bureau projections, Columbus metropolitan area is poised to become Ohio’s largest by 2025, when it is estimated to have 2.27 million residents. Both studies noted that trends of Americans moving to warmer climates, more affordable areas and better job opportunities largely determine migration patterns. A thriving and diverse economy in Columbus and central Ohio continue to attract more job-seekers. Whether you’re looking to move into, out of or within Ohio, Herlihy Mayflower will make the process as easy and stress-free as possible. Contact us today to experience the Herlihy difference. As one of Ohio’s oldest moving companies, we have moved thousands of families and businesses within Ohio, across the United States, and around the world. We’re BBB accredited and Angie’s List approved. And, as a locally owned and top-rated agent of Mayflower Moving serving Chillicothe, Athens, and Columbus, Ohio, we have the resources to move you, no matter where you need to go.